Destruction, illegal excavations, theft, plundering and the illicit export of legally-protected cultural heritage can rob a country of its national treasures, and can often cause irreparable damage to a country’s history and cultural identity. 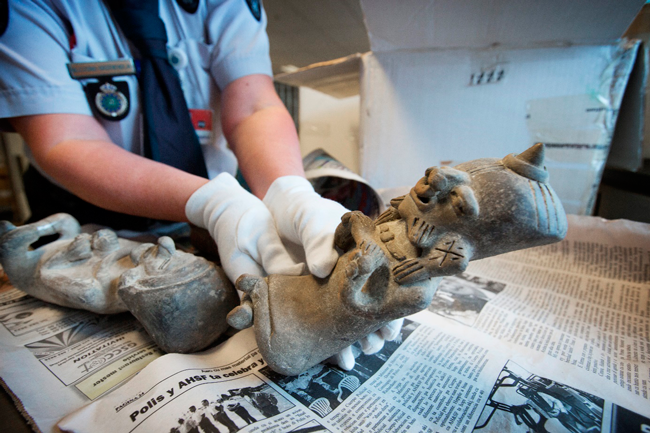 The illicit trade in cultural objects is a worldwide problem that is not confined by national borders. Although numerous studies have been published on illicit trade, there are very few statistics that properly quantify the extent of the problem. What is known is that there are numerous illegal excavations across the world and a thriving trade in cultural objects. Areas of conflict and countries in Africa, Asia and Latin America are particularly vulnerable. It is not only archaeological sites, including those underwater, that are affected; it also impacts museums, religious buildings, archives, libraries, private owners, and collectors. The Netherlands is committed to combating illicit trade in cultural goods and has taken a range of measures to achieve this over the years. Such measures include building a partnership between Dutch Customs and the Cultural Heritage Inspectorate (CHI), an institution that is part of the Ministry of Education, Culture and Science, and which is responsible for supervising compliance in relation to the import, export and transfer of ownership of cultural property. How this partnership came about and what it involves is described in more detail below. The first global tool for combating illicit imports and exports, developed by UNESCO, is the 1970 Convention on the Means of Prohibiting and Preventing the Illicit Import, Export and Transfer of Ownership of Cultural Property. This Convention calls on State Parties to take preventive measures, establish restitution provisions, and collaborate internationally in areas such as import and export controls. These preventive measures involve, for example, evaluating and registering national heritage, establishing a system of export licences, and monitoring legal and illegal trade flows. The 1970 UNESCO Convention marked an important milestone in awareness of the need to protect cultural objects and of the cross-border traffic in objects. It was followed by other conventions and regulations in this area, developed by various authorities such as the Council of Europe, the International Institute for the Unification of Private Law (UNIDROIT) and the European Union (EU). The United Nations Security Council has also passed resolutions to protect cultural heritage, including for Iraq and Syria. There is no standard definition of what legally-protected cultural heritage is. It varies from country to country and depends on such factors as history and cultural and economic development. The 1970 UNESCO Convention defines “cultural property” as property which, on religious or secular grounds, is of importance for archaeology, prehistory, history, literature, art or science, and which belongs to one of the categories specifically listed in the Convention. This definition has been adopted in national legislation by many countries, including the Netherlands. The collaboration between Dutch Customs and the CHI came about more than 20 years ago, when European cultural legislation took effect in 1993 with the elimination of the EU’s internal border controls and the introduction of a complementary system that aimed to protect cultural goods within the EU and at its external borders. This collaboration is enshrined in a covenant between the Ministry of Finance and the Ministry of Education, Culture and Science, which deals with policy and implementation matters. At policy level, issues addressed in the covenant include the exchange of information, planning of activities, financial resources, and control procedures. The annexes to the covenant establish the duties and powers of Customs and the CHI, the procedures regarding the implementation of relevant cultural legislation, and how any infringements are dealt with. Moreover, the exchange of information between Customs and the CHI is detailed in one of the annexes and is compliant with the new EU General Data Protection Regulation 2016/679 (GDPR), which regulates the use of personal data relating to individuals in the EU. Training is an important area of focus. As part of the general Customs training programme, every Customs officer is given instruction on matters relating to art and culture. The cultural module in the training programme focuses on issues such as recognizing cultural goods, knowledge about cultural legislation and relevant developments, and information on how a cultural object should be described (according to the standard identification method: Object ID), photographed, and safely handled and stored. Customs officers are trained using the blended learning approach, i.e. partly through computer training and partly in the classroom. In addition, Dutch Customs has designated special Cultural Goods Officers (Vraagbaken Cultuurgoederen) who liaise between Customs officers and the CHI. The training programme for Cultural Goods Officers was developed by the Customs Academy in close collaboration with the CHI. It comprises knowledge of law and legislation, risk management, and applying instructions and procedures. The training and education system is an ongoing one: in addition to an intensive module, Cultural Goods Officers meet once or twice annually to focus on a specific theme, such as cultural heritage in Iraq, Mali or Syria, or a vulnerable area of heritage, such as archives. These training sessions generally take place in a museum repository or at another heritage institution, enabling officers to experience cultural objects in situ and become acquainted with experts at these institutions. Customs officers must be able to recognize cultural goods. They are not expected to be experts, since this would be impossible in view of the diversity of the heritage field. However, it is important that officers should know when alarm bells should start ringing: are there signs of recent fractures, are there stickers on the back of a painting that refer to a specific collection, or are there any inventory numbers or other marks of interest on a cultural object? Customs cannot take samples when it comes to this category of goods and will, therefore, have to halt an entire shipment until it is clear whether it can be released or not. When a Customs officer finds something in a shipment and there are doubts as to its legitimacy, the Cultural Goods Officer is consulted. If the officer confirms the Customs officer’s suspicions, he/she will enlist the services of the CHI. Initially, the CHI assesses the photographs and object descriptions submitted, together with the circumstances surrounding the shipment and, if necessary, will enlist the services of experts from museums or universities. In some cases, the CHI will assess the shipment in situ, possibly together with an expert. If there are reasonable grounds for suspecting that an object has been illegally exported from a country that is party to the 1970 UNESCO Convention, or from Iraq or Syria, and imported into the Netherlands, the object will be seized for further investigation and processing by the CHI. The police or Public Prosecutor’s Office may also be called in to assist. 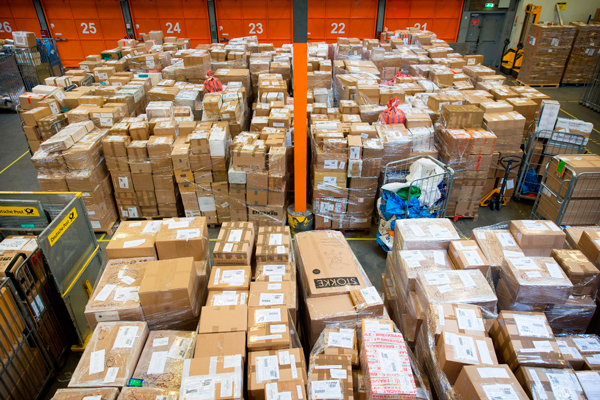 Dutch Customs conducts physical and administrative inspections on items brought into the EU and leaving the EU. The strategic goal in this important process is 100% supervision in monitoring the flow of goods. Customs and the CHI work on the basis of a Cultural Goods Implementation Plan (Uitvoeringsplan Cultuurgoederen), which indicates, for example, how many inspections are to be conducted in each Customs process (e.g. passenger controls, cargo inspections) and location (e.g. airports, sea ports) on an annual basis. Alongside managing legal trade flows, the main focus is on combating illicit trade. A risk analysis system is used for this purpose. For this analysis, the CHI provides Customs with risk indicators, which relate, for example, to the origin of the shipment or the flight (war zones or countries affected by natural disasters), or the type of goods declared. Such goods are archaeological and ethnological objects, archives and religious artefacts of particular importance, or goods listed in UNESCO alerts, INTERPOL’s database, research studies, and the Red Lists developed by the International Council of Museums (ICOM). These so-called Red Lists are designed to help Customs officials, police officers and heritage professionals to identify the categories of objects most targeted by illicit traffic, and which trade and exportation is prohibited. Since 2000, ICOM has developed 17 Red Lists, most of them for Latin America and the Middle East. Thanks to the risk analysis in place, Dutch Customs regularly comes across cultural goods that require further investigation. In several cases, controls have resulted in the seizure and/or return of objects to their country of origin. In addition to routine inspection work, authorities also engage in global enforcement operations targeting cultural goods, such as Operations Colosseum (2012) and Odysseus (2014), two joint Customs operations, and Operation Athena (2017), a global Customs-police operation led by the WCO and INTERPOL and which was complemented by Operation Pandora II, a regional initiative led by the Spanish Guardia Civil and Europol. Participants share a lot of data during these operations, which is analysed to identify modus operandi, trends and patterns, as well as to refine risk indicators. The system of export licences is the same across the EU and is based on Council Regulation (EC) No. 116/2009. Cultural goods are divided into 15 categories, and an export licence must be applied for when goods are above a specified value and age. The model form for an EU export licence is similar to the Model Export Certificate for cultural objects designed by UNESCO and the WCO. In the Netherlands, an export licence can be obtained free of charge from the Tax Department/Customs Central Office for Import and Export (CDIU). Applications are made electronically. The CHI verifies the data reported in the application and authorizes or rejects the licence. Checks are made to ascertain whether an object has legal protection, including in other countries, whether it may be stolen, and whether all reported data matches the object to be exported. Once an application is approved by the CHI, the CDIU finalizes the administrative procedures. Of utmost importance is the verification of the provenance information. Research in this area is becoming increasingly crucial. As part of the Customs 2020 programme, an EU cooperation programme that provides national Customs administrations with the possibility to create and exchange information and expertise, a study focusing on the concept of provenance and on Customs controls on cultural goods has been launched at the initiative of the Netherlands and Belgium. The aim of the study is to develop a more standardized working method to be applied by culture and Customs authorities within the EU. The results are expected to be published at the start of 2019. Stopping the illicit exportation and importation of cultural objects at the border contributes towards protecting not only Dutch cultural heritage, but also that of other countries. Efficient export control also prevents potentially expensive return procedures. The Dutch model of collaboration has been developed over the years, and has proven itself to be efficient. It is notably worthwhile for cultural institutions to invest in training courses for Customs; they help to reinforce national collaboration and the sharing of knowledge and information. In relative terms, the Netherlands is a small country and there are strong lines of communication between the various ministries involved (including the Ministry of Justice and Security, and the Ministry of Foreign Affairs), which makes collaboration easier. As every country is organized differently, this exact model may not be replicated easily, but what matters most is for cooperation mechanisms to be in place that suit a country’s structures. Ultimately, all national services share the goal of protecting cultural heritage, a goal which reaches far beyond national borders. UNSC Resolution Numbers S/RES/1483 (2003), S/RES/ 2199 (2015), S/RES/2347 (2017). Directive 2014/60/EU on the return of cultural objects unlawfully removed from the territory of a Member State; Council Regulation (EC) No. 116/2009 on the export of cultural goods.